Everyone loves to talk with their loved ones and especially when they have long-distance relatives, friends, and special ones. Calling, texting, and internet are most likely to be used by people for communication but high rates set by telecom companies made us to think whether we should initiate conversation with someone through phone or not and how long can we continue this conversation. High rates and tension of remaining minutes, SMS and data Mbs always worried us, and we cannot fully enjoy our conversations. No calling or long procedure to get the subscription to this fantastic offer. Just dial *8888# from your pre-paid sim and get subscribed quickly. Before using free minutes and data volumes wait for the confirmation message from the company. You can re-subscribe to this offer as many times as you want then the extra minute and Mbs will be added to the previous subscription. If high calling rates and data network charges make you worry, then you should avail this offer now as it is low-priced. You get the benefit of calling along with internet surfing at Rs.100 with tax for whole seven days. No extra or daily charges are included. Per call setup charges of 15 paise + tax will be applied. FED tax will apply on other usages and recharge. This Offer will provide 700 minutes and 100 Mbs of the internet upon one-time subscription for seven days. After usage of minutes and Mbs, default rates will apply. Calls can only be made on Ufone, Vfone and PTCL numbers. The offer will be valid only for pre-paid customers. At 11:59 of last day offer will expire or on consuming allocated minutes and Mbs. Voice buckets, shortcodes calls, and NTC numbers are not included. 84% as additional charges on all services will apply in Islamabad, FATA, and Gilgit-Baltistan. You can quickly check your left minutes and Mbs by dialing *707#. Charges of 20 paise + tax will apply. 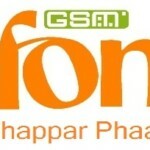 Ufone always deliver what they have promised to their customers. 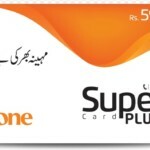 You won’t get this unique offer from other Telenor companies other than Ufone. 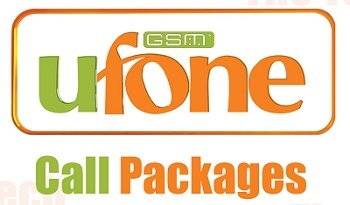 So, get Ufone Weekly Pakistan Offer today as it gives you 700 minutes and 100 Mbs of data volume for seven days. Don’t miss the chance and activate this offer at this moment.